The importance of marketing for cryptocurrency is as much as in any other industry. Online marketing is the synonym of growth for the online business world. Many of ICO marketing company has now stepped into the market. 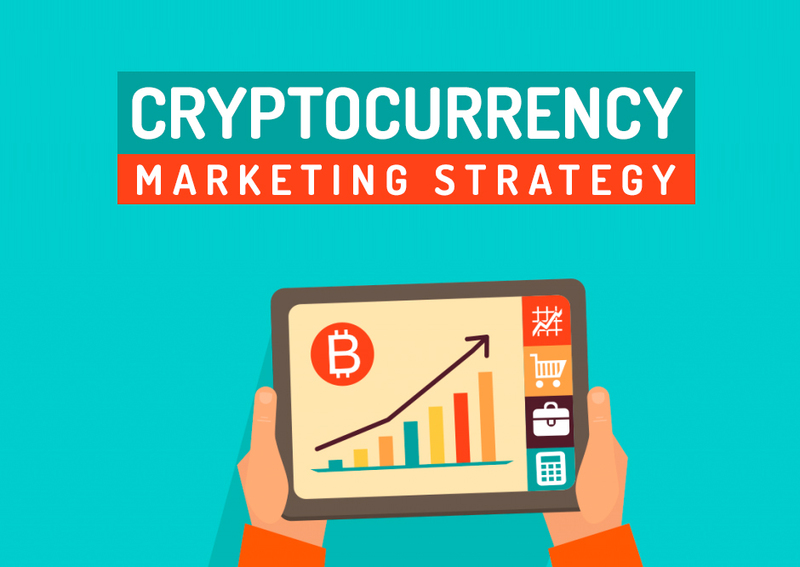 As you may know, the crypto-coin market is already getting too crowded and in order to survive this world, your coin needs a unique and effective cryptocurrency marketing strategy. If you are not sure what that is or how to market your coin, here are some strategies to help you get started. SAG IPL is a top-notch cryptocurrency marketing agency, They can provide you highly secure ICO solution provider. A cryptocurrency is different from an ICO. A crypto coin is a digital currency or an online payment system, whereas an ICO (Initial Coin Offering) is a sort of fundraiser to raise enough fund to successfully develop a cryptocurrency venture or startup. The first and probably the most important thing to do before you launch your crypto coin is to develop and manage a website. Find a relevant web design and create an online platform for your potential investors to know everything is there is to know about your coin. This is also your chance to convince them why they should consider investing in your currency, the benefits it has, and the potential future of your coin. You cannot expect anyone to find out about your coin and invest into it unless you tell them through sufficient resources. This is just another highly-efficient way to get the word out about your future cryptocurrency. Many people will ignore a marketing email even before they read it, so there go all the efforts you put into creating an engaging email marketing campaign. The better solution is to collect targeted mobile numbers of potential users and send marketing texts directly to them. Mobile messages are more likely to be read and usually receive a great response from interested users. You can hire an SMS marketing company or software for the task. Have you ever wonder how blockchain or cryptocurrency work, Check out how does blockchain works? An effective social media strategy can help you build an engaged audience around your crypto coin. How to do that? Start by creating dedicated pages for your currency on Facebook, Google Plus, and other social networking sites. Encourage people to join your pages to stay updated with the ongoing news and updates about your coin. Not sure how to do that? Hire the services of a professional social media marketing company to get started. Use the popular news and PR services to get the word out about your upcoming digital coin. There a number of online Press Release websites, including some dedicated cryptocurrency PR agencies, that allow users to publish news and updates about new coins. Including the official bitcoin community, there are a number of other communities where you can further promote your new coin offering. First of all, you need to find the relevant community websites and join them. Before you start talking about your own currency, you first need to build a trust by participating in ongoing discussions. Then, you can officially introduce your coin, its history, benefits, future and other details to the community users. If they are interested, they will ask questions for which you can provide answers accordingly. For those, who are not much familiar with a lot of online marketing tactics, the best alternative is to hire paid marketing services. These services are provided by Google, Facebook, Twitter, YouTube and several other online platforms. This basically involves displaying advertisements, videos, banners, etc, about your coin on already established sites with the aim to gain traffic from them. An online marketing company can help you set up a paid promotion campaign for your crypto coin. Reddit is a social news and content sharing website where new content, including text, images, and links are shared by users. You can join the website and start sharing news and updates about your own coin on specific communities called subreddits. For example, you can join this r/cryptocurrency subreddit, there are over 500k subscribers perfect place to market. Or you can also many of other subreddit too. But before that, you should try to involve in the ongoing discussions to gain some user trust (Karma). Once you have that, you can even consider starting your own subreddit and promote your coin there. Just make sure not to over-promote or share a lot of links altogether. Display campaign is a form of paid advertising where you promote your own products/services on other popular sites in the same niche through a number of different display items such as images, video, audio, flash, and text. Email marketing involves sending targeted marketing emails about your new product launch, offers, etc, to specific people. This is a really good strategy to spread the information about your new coin. However, you need to build an email list first and include only the people who might actually be interested in your product. Then, you can hire an email marketing service or software to get started. This is a type of marketing in which other people or businesses, called affiliates, send traffic or visitors to your website/blog in exchange for a commission. First, you need to start an affiliate campaign on your cryptocurrency website. You will pay a commission to affiliates who bring new signups (or any other activity) through their own marketing efforts. The idea is that these professional affiliates may know more people and have better networks than you do and can help you generate more traffic to your site. The main task of an online reputation management company is not just to build and maintain a positive reputation for the target company but also they are responsible for removing any negative publicity. While you are in the process of developing a new crypto coin, your competitors may have been planning to destroy your brand reputation in any way possible. Through effective reputation management, you can build a clear and positive public perception of your brand offerings. These and many other online marketing techniques can help you effectively promote your cryptocurrency and ICO in your target market. If you are not sure how to do that, the best solution is to hire the help of a professional digital marketing company. SAG IPL is a reputed Cryptocurrency (ICO) Marketing Agency that has been helping cryptocurrency startups to create and manage successful ICO campaigns and market their digital coins. Do reach to know more about our services or to hire an online marketer.